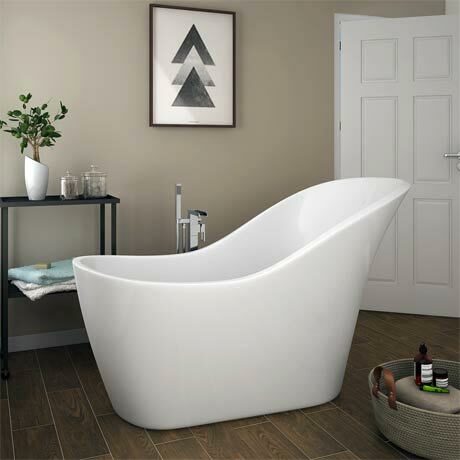 The 1520 x 720mm Vienna contemporary free standing slipper bath will make a stylish addition to any bathroom. Suitable as a centre piece for any bathroom design with it's eye-catching swooping lines. If you want to make a statement with your bath design, then choose from our luxury collection. Made from 4-6mm thick smooth white gloss acrylic. This bath has been designed for use with wall mounted or floor mounted free standing taps.